Santa’s Work is Done! is one of the 2013 Christmas Special Editions from Robert Harrop Designs. The latest edition to the Doggie People range features Santa as an Old English Sheepdog. This Doggie People Christmas Special 2013 is being produced in a Limited Edition of 350. It is set for release at the end of November. Christmas is here, and as reliable as old St. Nick himself, comes our perenial Christmas Special Limited Edition! 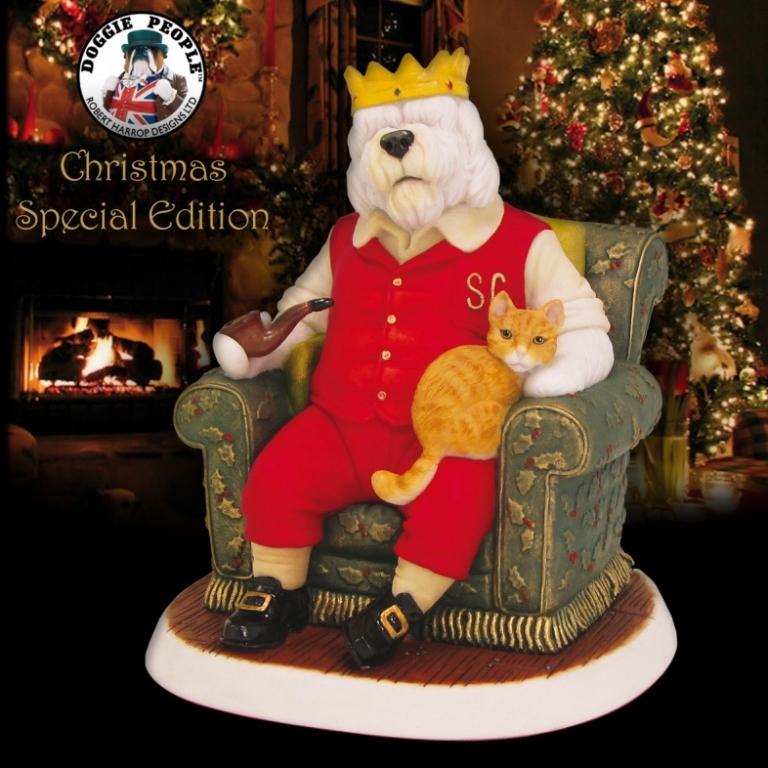 For our Old English Sheepdog Santa Claus, his years work is finally done and he is enjoying a well deserved rest, relaxing in his favourite old chair with his trusty pipe and feline friend!